There is always a lot going on in life...always. But I am loving my job and my little baby is growing and growing. All that aside I need to admit that I have been down right nasty and completely irresponsible. 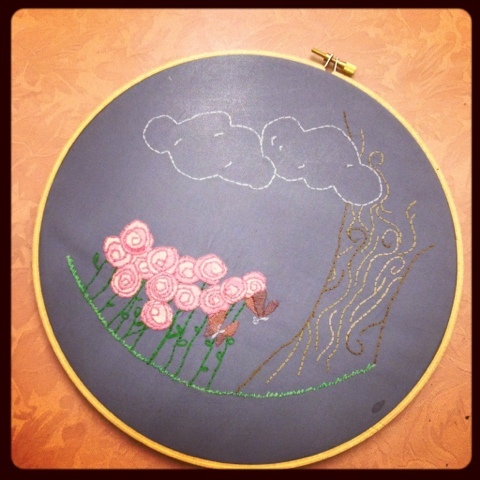 I had a responsibility to finish a hoop almost a month ago and didn't. Partner I am so sorry. I have no excuse I just hope one day you can forgive me. On th lighter side of that confession if there is one here is the hoop. I have the orange and purple color ways of 1001 Peeps :DI also got a few other things for upcoming projects. 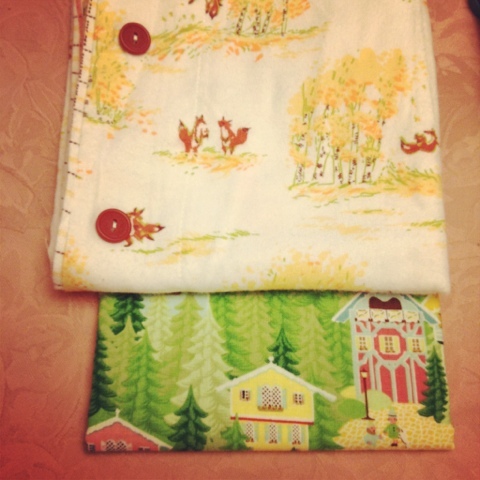 Hideaway for my tree quilt and Munki Munki Foxes just plain cute! 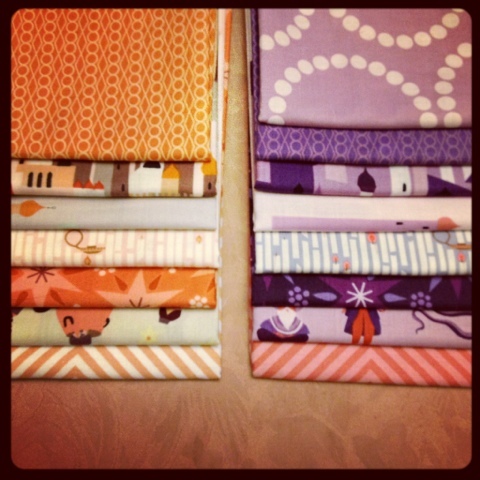 love the fox fabric...I am always looking for more!! Where did you get it?